It’s that time of year; time to start thinking about pulling out the fall clothes and saying goodbye to summer attire. I know, I know, many of us are still in the throes of 90 degree weather, but the first day of fall is this Thursday so why not at least plan your fall attire? As with all fashion, picking what’s right for your budget, right for your body, right for the season, and all while being age appropriate, can sometimes be challenging. 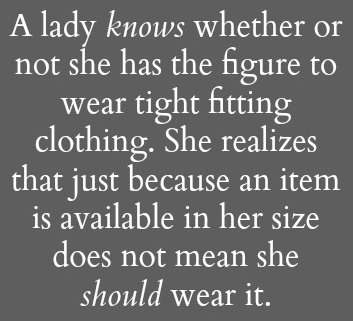 I’ve written it before and I’m writing it again: just because it fits doesn’t mean you should wear it. I recently read something by author Sabrina Rouge about fashion mistakes that make you look older and found them interesting. Think about it. JLo, Kris Jenner, and Madonna are all women old enough to know better yet are often photographed in clothing that is much too young for them. Yes, they sometimes look great for their age, but they can also look like they are just trying too hard. We all want to look hip and fashionable, but the mistake many make is wearing those trendy items long after they’re in style or wearing too many of them at one time. Wearing multiple or tired trends won’t make you look modern; they’ll make you look out of touch. Think about it: the current New York Fashion Week is showing spring 2017 fashion. To true fashionistas, spring 2016 trends will be “so 2016” come 2017. We can’t all have Gigi’s or JLo’s closets, full of entirely new wardrobes each season, but we can all shop smart. The best advice is to buy maybe one or two inexpensive trends each season and stick to the classics for the rest of your apparel. My other favorite rule: if you wore the trend the first time it was popular, you are too old to wear it when it comes around again years later. Yes I rocked ‘70s fringe in the 1970s, but I would look like a fool wearing it today. The photo of Jane Fonda at the top of this blog is a perfect example of a mature woman overdoing a trendy look. I personally think she looks ridic. 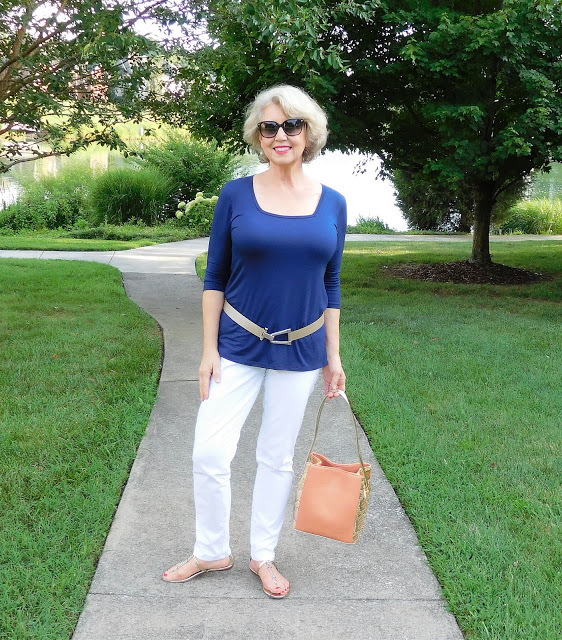 The two photos below show much more stylish ways to rock boyfriend jeans at any age. Wear them, but keep everything else classic and classy. Another mistake women make is wearing same-fit pairings. Your outfit goal is to create balance in what you’re wearing so if your bottoms are tight, wear a loose top. If your bottoms are loose, wearing a tighter top is ok. In the stunning outfit here from the Rachel Zoe Report, the pleated skirt is flowy so the fitted top looks fabulous. Had the skirt been tight, a similar top would cheapen the look while a flowy top with this skirt would add unnecessary bulk to even the smallest of frames. My closet staples are black, white, and camel. I throw in colors and a rare print every now and then, but I’m pretty plain Jane. We can all agree that black is indeed slimming, but wearing too much of it is also aging. This, I did not know. As Runge noted, skin gets lighter as we age so wearing a lot of black, especially near the face, washes us out. If you’re like me and you love a cool charcoal or basic black, be sure to include a colorful accessory and bright lip. Do you hold onto pieces that either don’t flatter your figure or scream 1990s? Did you love wearing a something when you were 15 years younger and it still fits but is maybe a bit too young for you now but you wear it anyway? If you answer “yes” to either of those questions, think twice. Toss what you wore in your 30’s and don’t wear anything for sentimental reasons. It’s no secret that as we get older, our hemlines generally get longer, which for the most part, is a good thing. The bad thing is that sometimes we wear skirts that are too long and too matronly. Yes, mature ladies shouldn’t wear miniskirts anymore, but plain skirts that come to your ankles and worn with the wrong shoes will make you look frumpy. Unless you purchase a new stylish maxi dress, stick to skirts that hit right above or at the knee. Don’t go too long but don’t go too short either. As we age we become concerned about wrinkles, particularly those around our eyes. So, what do we often do? Apply make-up…lots of make-up. Eye shadow, eye liner, false lashes, brow pencil, just to name a few products. But, applying heavy liner or dark eye shadow will not make your eyes “pop,” they will age you and accentuate the very wrinkles you are hoping to camouflage. Think more subtle shadows, little or no liner, and bring out your cheeks with contouring. Consider the photos below of Britney Spears and Giuliana Rancic. The shots of them wearing tons-o-black makeup really do make them look much older…and harsher. I’m guilty as charged in this one big time and the athleisure trend isn’t making it easier to steer away from it. Jersey fabric may indeed be comfy but if not fitted properly, it clings to every inch of your body. Tight leggings, yoga pants, and any other “comfy” bottoms need not be too tight and if they are, be sure to wear a top that hides all your bulges and lumps and choose styles that are draped or ruched. Another option is to “dress them up” as in this photo. Most of us love wearing clothing that is loose and comfortable. But be careful. Oversized clothing may hide your flaws, but it can also turn you into a shapeless bob. I never, ever tuck anything in, but I’m warming to the idea that belting an outfit appropriately actually creates an hourglass illusion. I love Susan of “Fifty Not Frumpy’s” advice of belting loosely and below your natural waist as seen in her photo here. As with eyes, we become more and more concerned about wrinkles and rolls on our necks and we tend to over-compensate and cover those necks up with stuffy turtlenecks. But unless you’re knee-deep in snow or frigid weather, a tailored collared shirt will be much more flattering as will a stylish scarf. 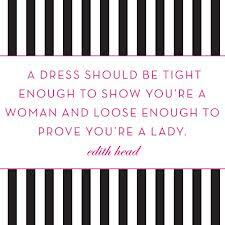 All of the above has focused on what you wear on the outside, but what you wear under all of it matters just as much. The perfect outfit can be ruined by the wrong undergarments. Words of wisdom: get fitted by a bra professional, choose seamless hipster undies, and consider the below. So there you have it. It is possible to cover up body imperfections, look fashionable doing it, and look your age…not older but not too young. It’s all just a matter of knowing what styles to choose and what mistakes to avoid. Thanks, Carla. More purging then purchasing required!